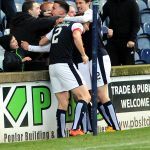 It may not have been referred to as such in the build up, but there was an air of ‘must win’ about the home match with Morton, with Rovers poor away form making their Stark’s Park fixtures even more vital in their battle to stay up. 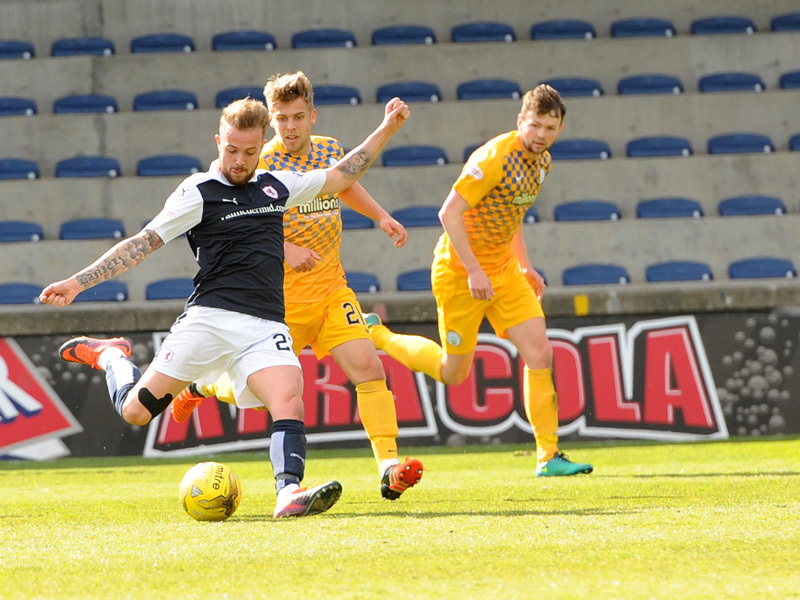 With that being the case, there was huge elation, and more than a dash of relief, as Raith saw off their Greenock opponents by two goals to nil this afternoon. 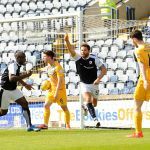 It wasn’t exactly the prettiest of spectacles at times, but goals from Craig Barr and Ross Matthews assuaged Raith’s relegation fears slightly, as the side jumped over St. Mirren and Dumbarton in the Championship table, to end the day in seventh position. John Hughes made just one change for the visit of Jim Duffy’s outfit, with Ross Matthews rejoining the starting line up at the expense of Jordan Thompson. Both teams were going into this one on the back of derby defeats, with Morton receiving something of a hammering from St. Mirren in midweek, but they almost got off to a perfect start in this one. As has been the case for Morton so often this season, Ross Forbes was the architect, whipping a free-kick into the box from the left-hand side, where Rickie Lamie was able to head it goal-wards, and although it appeared to be heading in, it just veered too far to the right, striking the outside of the post and heading wide. 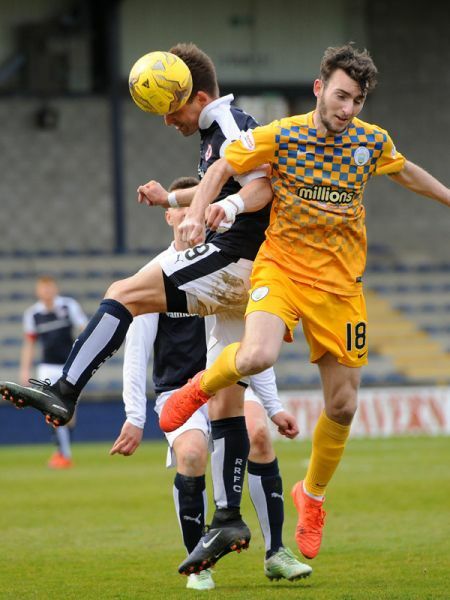 Morton were looking the likelier in those early phases, and as you’d expect from a team sitting in fourth, looked the more comfortable in possession, playing the ball in-between Raith’s lines neatly, although the back four were successfully keeping their attacks at arms length. Starved of the ball, Rovers were struggling to create too much, although a good piece of interplay between Ryan Hardie, Rudi Skacel and Danny Handling, eventually saw the on-loan Hibs man try his luck, but he splayed his shot wide of Derek Gaston’s goal. 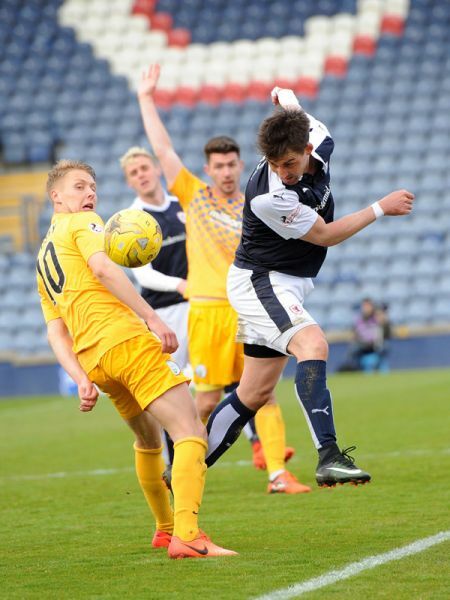 Their was little flow to a game which was entirely deserving of the term, scrappy, and with Raith struggling to turn the Morton rearguard, a set-piece was looking their most realistic route to goal, and so it transpired, as Raith opened the scoring in the 27th minute. Chris Johnston swung a corner into the box, and despite it being held up by the breeze, Gaston was unable to claim due to being blocked off, allowing Craig Barr to nod it home. It was a vital, and confidence producing goal, and Rovers looked to extend their lead five minutes later. Kevin McHattie won possession with a fierce challenge in the middle of the park, allowing Johnston to sweep a pass out wide to Hardie who was left one-on-one. After outpacing the defender, he was presented with a decent sight at goal, but he failed to catch his finish correctly, allowing Gaston to make a reasonably simple stop. Rovers had looked quite comfortable since the goal, but a mix-up at the back, almost presented Morton with an equaliser in the final seconds of the half. McHattie miscued a clearance, allowing Kudus Oyenuga a chance to make headway into the box, but his cross was eventually cut out and cleared, despite Morton having an abundance of bodies in the box. 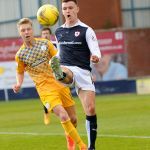 Considering what was at stake, it was vital that Raith avoided their nasty habit of starting second halves poorly, but they almost did just that, with Morton inches from restoring parity in the 49th minute. Jamie McDonagh skipped past McHattie on the left, and his low cross found Oyenuga, but from close range, he somehow managed to find the post, rather than the back of the net. It was one of the few events of a fairly tame start to the second 45, although a substitution in the 57th minute, immediately helped to change matters. Bobby Barr replaced Johnston, and within 60 seconds, he’d helped double Rovers lead. Skacel fed the ball to Hardie on the left, and although his cross looked a little deep, Barr’s excellent close control allowed him to tee up the advancing Jason Thomson, and his fine low cross was met first time by Matthews, who smacked an effort past Gaston, for his second goal of the season. 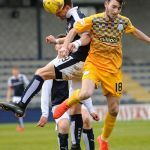 Morton had done little to suggest they’d be able to find a way back from that deficit, although they did have a half-chance five minutes later, when Penksa failed to claim a corner, although Jean-Yves M’Voto was on hand to thump the ball from danger. Declan McManus was introduced for Hardie with a little over 25 minutes remaining, and like Barr, he was involved instantly. A three-man move involving the two substitutes and Thomson ended with the captain delivering another ball into the box, which Handling headed down and wide. Morton could have justifiably thought themselves a little unfortunate with them striking the post twice during the match, but they must have realised their luck really wasn’t in, when they hit it for a third occasion after 74 minutes. Rovers have conceded a large number of goals direct from free-kicks this term, and they almost had another to add to the list, but Jon Scullion’s strike from 25-yards smacked off the inside of the post and away to safety. Mark Stewart was a late substitute as he made his first appearance since the 2-0 win over St. Mirren, and Rovers eventually saw out the remainder of the match comfortably, as they continued their fine home form under Hughes. With other results also going their way, Rovers now sit one point above both St. Mirren and Dumbarton, and four clear of bottom side, Ayr. With no game next weekend due to Hibernian’s involvement in the Scottish Cup semi-finals, Raith’s next match will be at Easter Road on Wednesday the 26th of April. Welcome to what was a sunny Stark's Park for this afternoon's crucial match v Morton. David Bowie's, 'Heroes' is blaring out of the speakers. A good omen! Team is led out by captain , Thomson. It's almost time! Raith shooting into traditional away end. Free kick Morton in their own half. Hard challenge from Handling leads to a free kick to Morton on the left wing. That was close for Morton as the ball goes just past the post from the free kick. Hardie chases a lost cause hard enough to force a mix-up between defender and goalie. 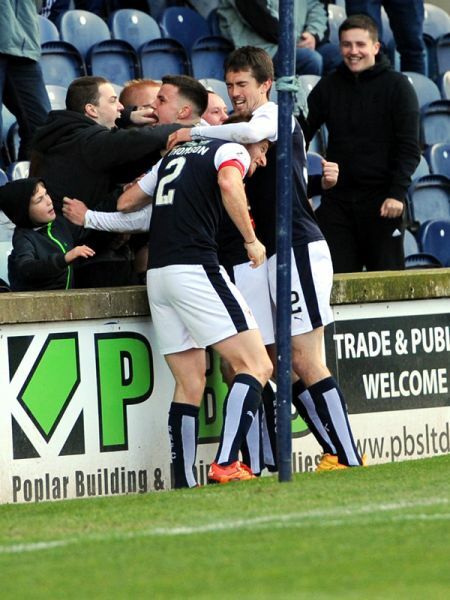 Corner Raith! Fairly quiet start from both teams. Thomson heads clear and Morton have a throw in just by beside the corner flag. McHattie gives away a free kick just outside the box. Morton free kick hits the wall and away to safety. Superb move from Morton's Nesbitt leads to a dangerous cross from the Main Stand wing. Skacel heads clear for a corner. Morton corner missed by everyone and rolls away to safety. Johnston gets a talking to from the ref after a hard challenge. Free kick Morton deep in their own half. First shot from Handling trundles past the right post. Warm applause from the Raith fans for the shot and then for Mark Stewart warming up behind the goals. Free kick for Raith 35 yards from goal after Handling brought down. Johnston take the corner on the right and floats in a perfect ball for CRAIG BARR to head home from a yard. Corner Morton. Raith fans are not happy about that. Penksa struggles with the cross, but cleared to safety. Brilliant long ball from Johnston sees Hardie expertly trap the ball and turn the defender outside the box. Left foot shot from 18 yards heads straight to keeper arms. Handling bundled over as ball goes out behind the goals. Free kick instead of a goal one. 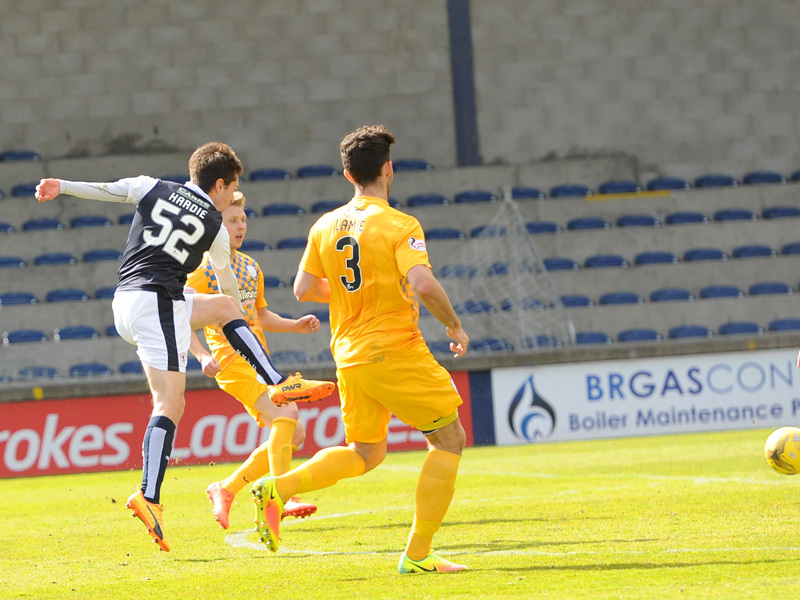 Corner Raith after Matthews does well near the flag. Keeper knocked into goals from the corner and the ref blows his whistle. Yellow card for McHattie after a hard tackle on the left wing. Diving header from Matthews clears the danger. 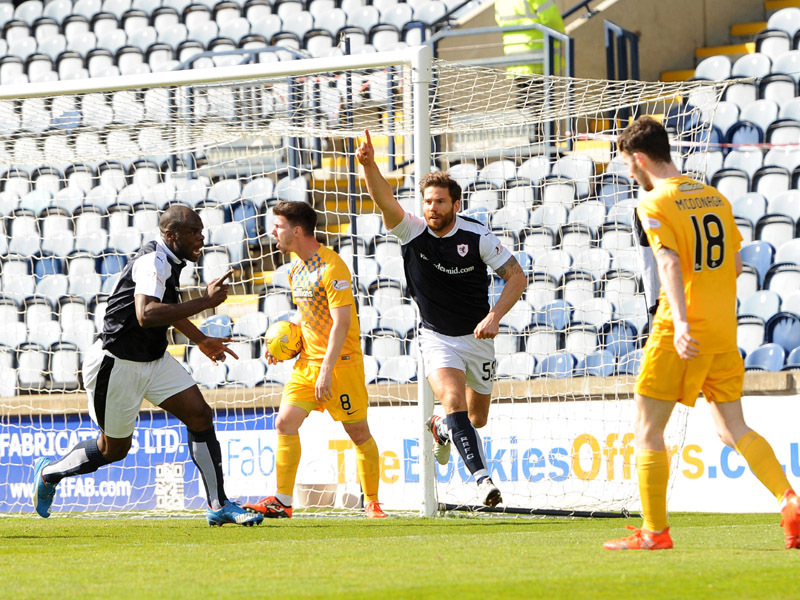 Half time: Raith Rovers 1-0 Morton. Real midfield battle has seen not a lot of chances from either side. 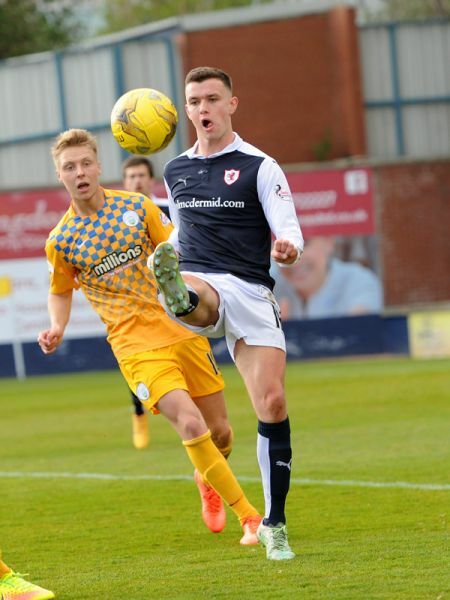 Danger men have been Raith's Johnston and Morton's Nesbitt. Handling enjoying himself in the middle too. Raith kick off attacking into the South Stand. Bobby Barr replaces Chris Johnston. Morton fans give Barr a 'warm' reception as he jogs on to pitch. Hardie races dosn the left wing, crosses beyond the back post to a waiting Bobby Barr. Nice move from Barr leads to Thomson putting in a dangerous low ball to the waiting MATTHEWS who drills home with ease. Ross Matthews booked for enjoying his goal with the home fans. Declan McManus replaces Ryan Hardie. Morton first substitution sees Andrew Murdoch replaced by 14 John Scullion. Quick free kick from Bobby Barr to Handling. Cross is too strong and over the bar for a goal kick. Bobby Barr finds Thomson racing down the right with a low pass. Thomson's cross is headed just wide by Handling. Morton substitution: Jamie Lindsay replaced by 12 Michael Tidser. Handling hits the post, but Railway Stand linesman flag was up and wouldn't have counted. Rovers in command and causing problems down the right with Thomson and Bobby Barr. Morton hit the post with an incredible free kick from outside the box. Penksa well beaten. McManus does well just inside the box and sets up Skacel with a cross, leaving a tough header. Ball slips past the post, but it was a tall ask. Morton sub: 19 Luke Donnelly replaces Gary Oliver. Mark Stewart called back to the bench and could be about to enter the fray. Raith substitution: Danny Handling replaced by Mark Stewart. Handling's had a great game and gets a generous applause from the Rovers fans. Stewart wins a corner down the left. Bobby Barr to take it. M'voto judged to have fouled Forbes in the Morton box. It has to be written that Morton goalie Gaston is playing in a short sleeved top. He must have elbows of steel. Rasping shot from 25 yards luckily hit straight at Penksa and easily held. Dangerous cross from Matthews had to be tipped over bar. Bobby Barr corner for Raith. Man of the Match: Ross Matthews. Cleared at near post by Matthews. 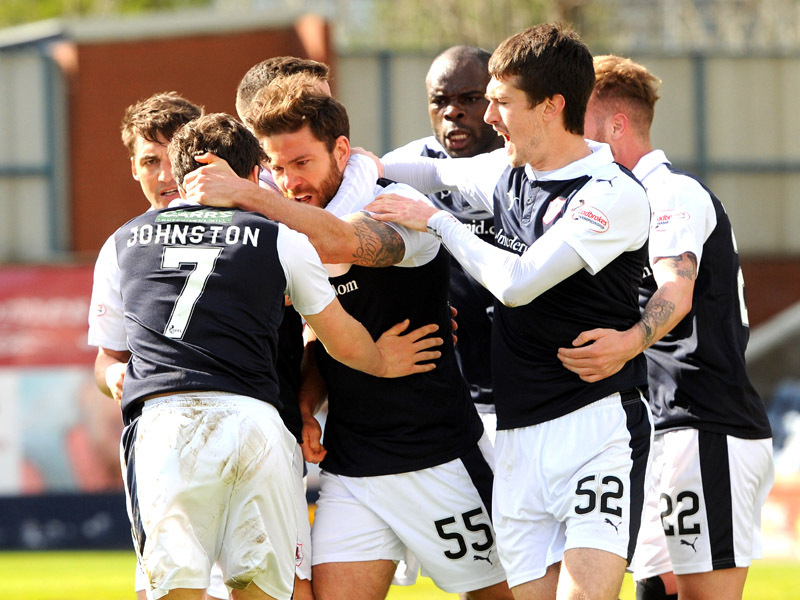 Full time: Raith Rovers 2-0 Morton. Fantastic win for the Rovers with an impressive second half showing from the whole team. 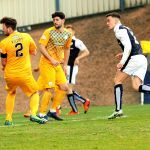 Raith Rovers head into this Saturday’s match with Morton, knowing that victory is imperative, after St. Mirren’s win over the same opponents, dropped the Kirkcaldy club into the relegation playoff spot. Rovers are now a point behind the Buddies and two behind Dumbarton, while Ayr United are two points worse off than Raith in bottom place. With the picture changing weekly, a victory could potentially see Rovers out of the relegation places, but unlike last season, John Hughes men have struggled against the Greenock side this term. 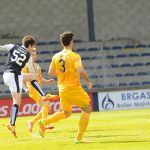 The 2015/16 campaign saw Raith take maximum points from Jim Duffy’s side, but it’s been the opposite this time around, with Rovers failing to take a point, or even score against the ‘Ton in the three prior meetings. 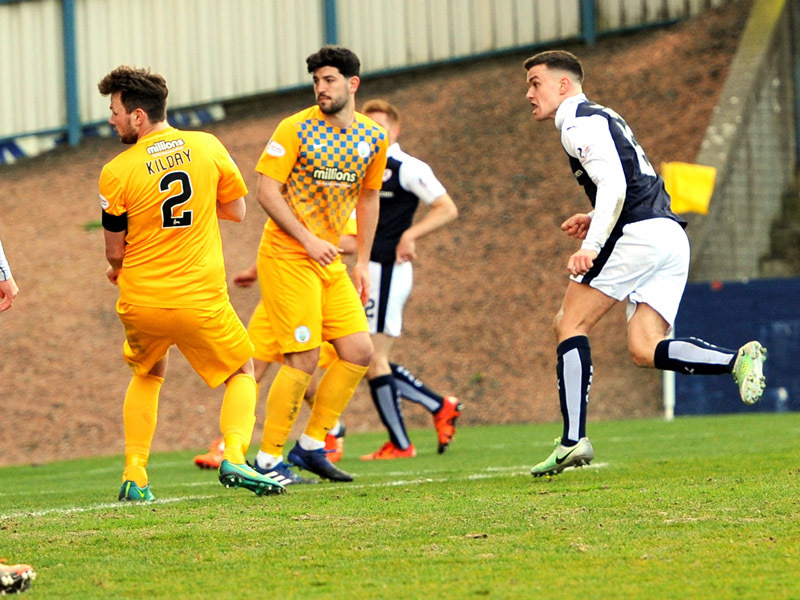 A Ross Forbes free-kick was the difference when the two teams met at Cappielow in October, and he was on the score-sheet again in January, along with Lawrence Shankland as the home side ran out 2-0 winners in January. 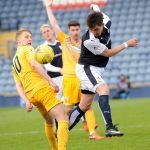 Their most recent meeting was at Stark’s Park in February, but the outcome was similar, with a Lee Kilday header the only goal in a 1-0 defeat, in what was Gary Locke’s last game in charge of the club. The Greenock side have been performing above expectations this season, and were as high as second in the table late last month, but a run of five matches without a win has seen them slide down to fourth in the table, although with Dundee United and Falkirk just one and two points ahead respectively, second place is still very much in their sights. Despite Rovers poor record against Morton this season, they’ve won six and drawn one of their last ten league meetings.